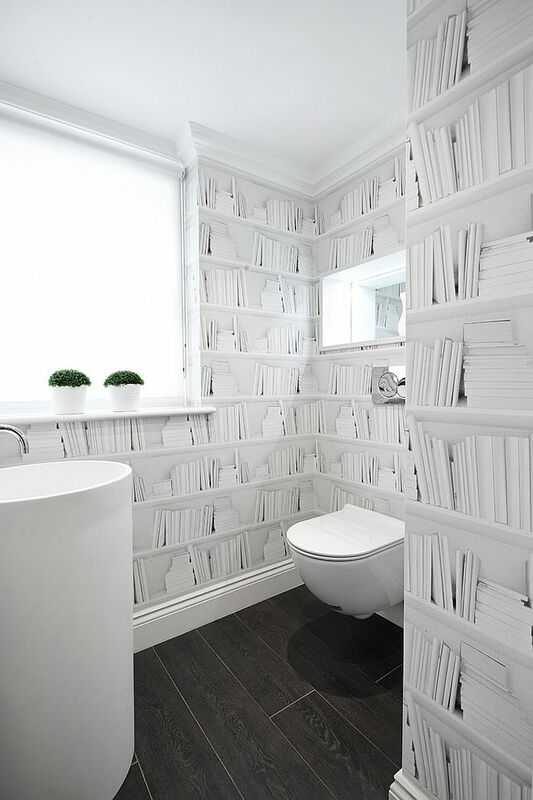 If you really think about it, bathroom reading is a strange phenomenon indeed. 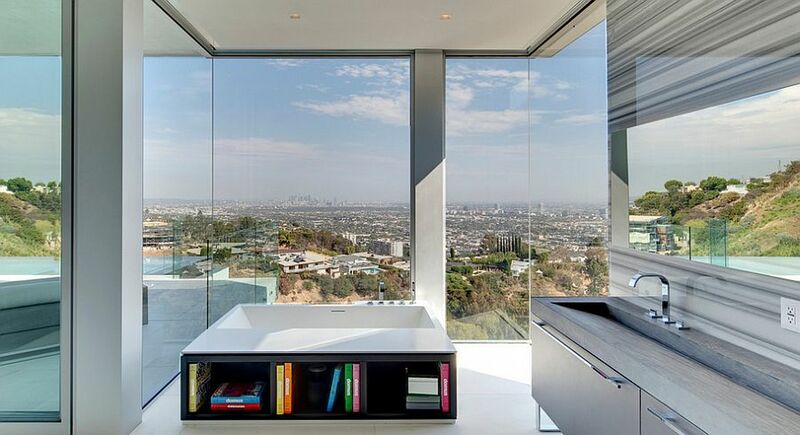 But the bathroom is probably one of the best ‘thinking rooms’ on the planet. 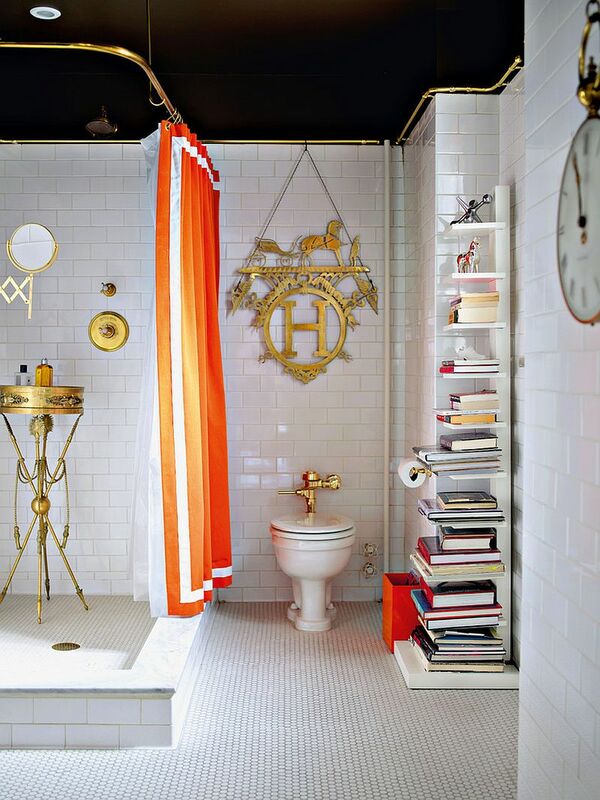 How often have you walked out of the loo or the shower marveling at the new wacky idea that you just came up with? 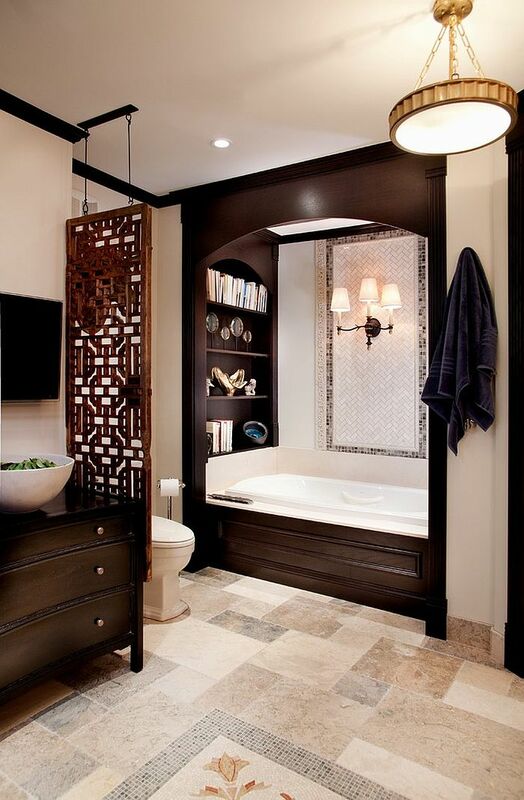 The bathroom is a safe refuge and a soothing hub that not only helps your body relax, but also seems to encourage your brain to function at its very best! With contemporary bathrooms embracing spa-like design and luxury, bathroom reading is now definitely a lot more fun than ever before. 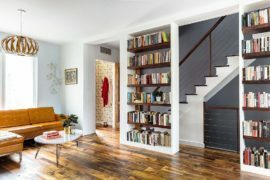 Whether you are someone who simply cannot live without books or would just like to flip through the TV Guide and the latest fashion magazines while taking a soak, you will need some space to stash away your reading material. 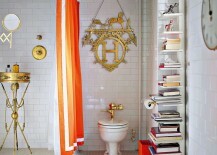 The 15 bathrooms on display showcase how to get this done in style. 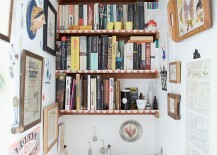 While some use expansive bookshelves, others turn towards savvy usage of space. 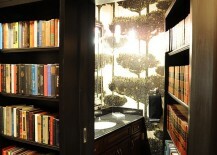 Then there are those that usher in the illusion of a book-filled powder room! Sink in and enjoy! 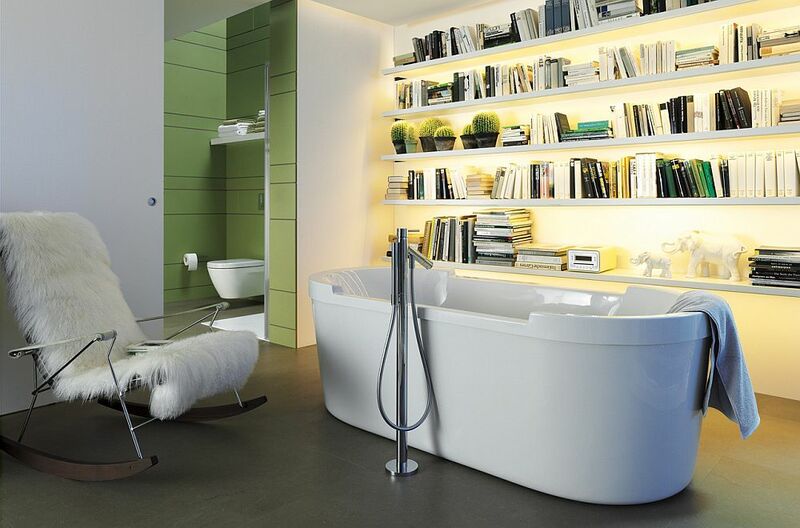 The bookshelf might be an unusual backdrop for the bathroom, but not if you are taking a relaxing dip in the sensational ‘foam spa’ designed by Japanese designer Kenya Hara for LIXIL. The unique technology uses air and water controls to surround you in warm foam at all times. 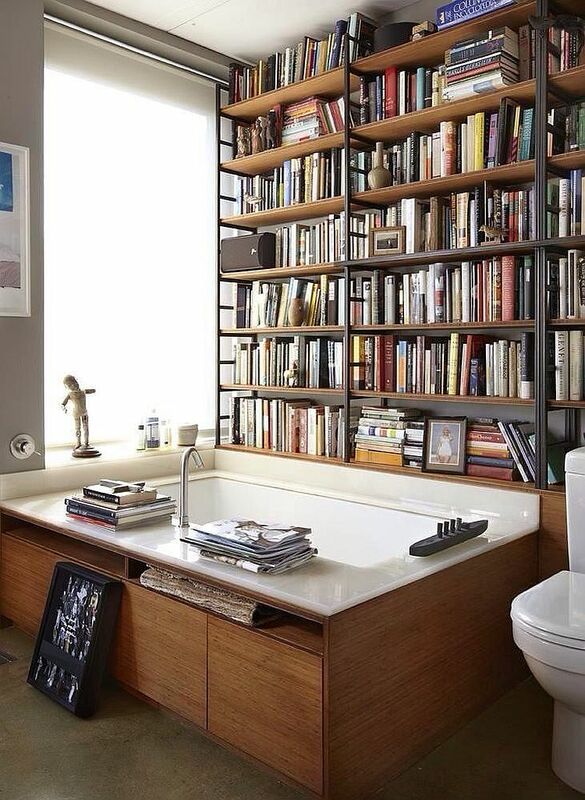 The technology allows you to take a really long soak without any skin damage, and of course, with a collection of books as vast as the one showcased below, you have plenty of reading material at hand. 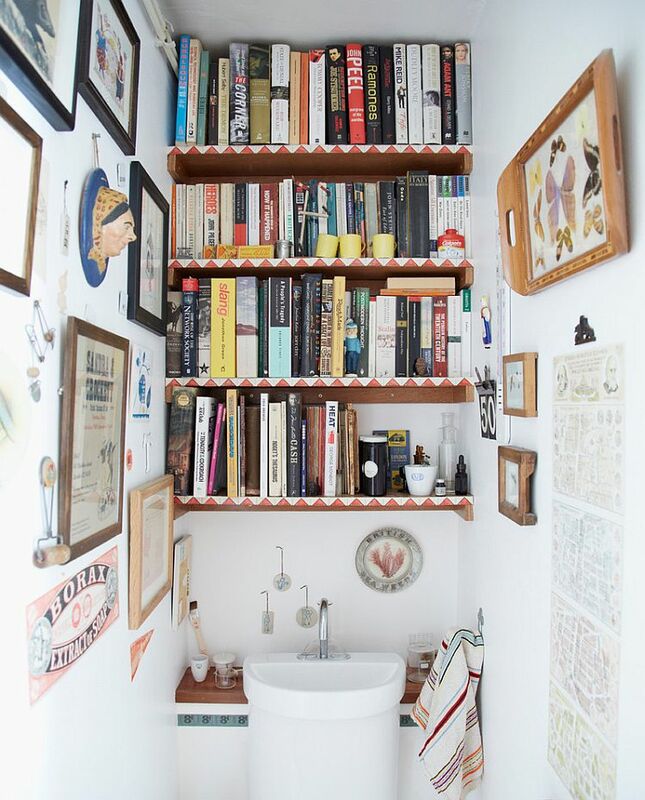 The bathroom might not be filled with books like the two inspirations above, but it is as cool a combination of books and bath space as you will ever see. 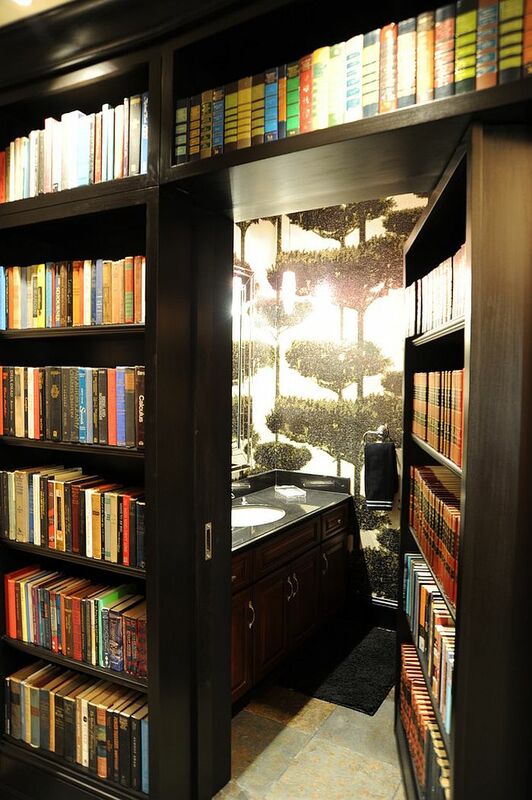 Hidden behind the lovely wall of books here is a secret door that leads the way to a hidden bathroom. Not only does the bookshelf cleverly conceal the extra room, but you can easily pick up a book as you head in each morning! 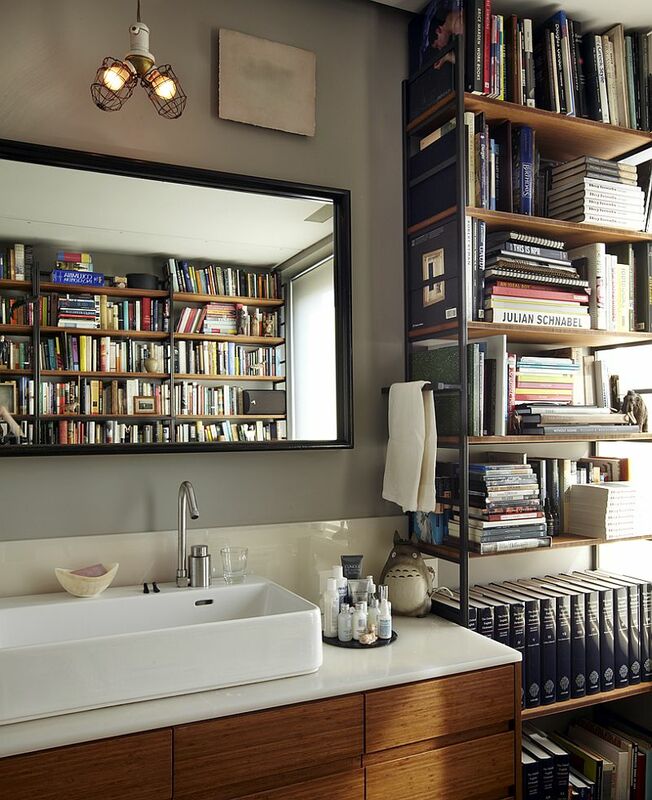 Adding books to the bathroom does not necessarily mean you need a large, exclusive bookshelf that dominates the backdrop. 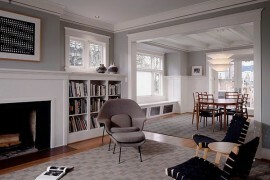 In fact, the opposite approach of using small, understated shelves and nooks is more popular and practical. (Not all of us are trying to win that Pulitzer anyway.) 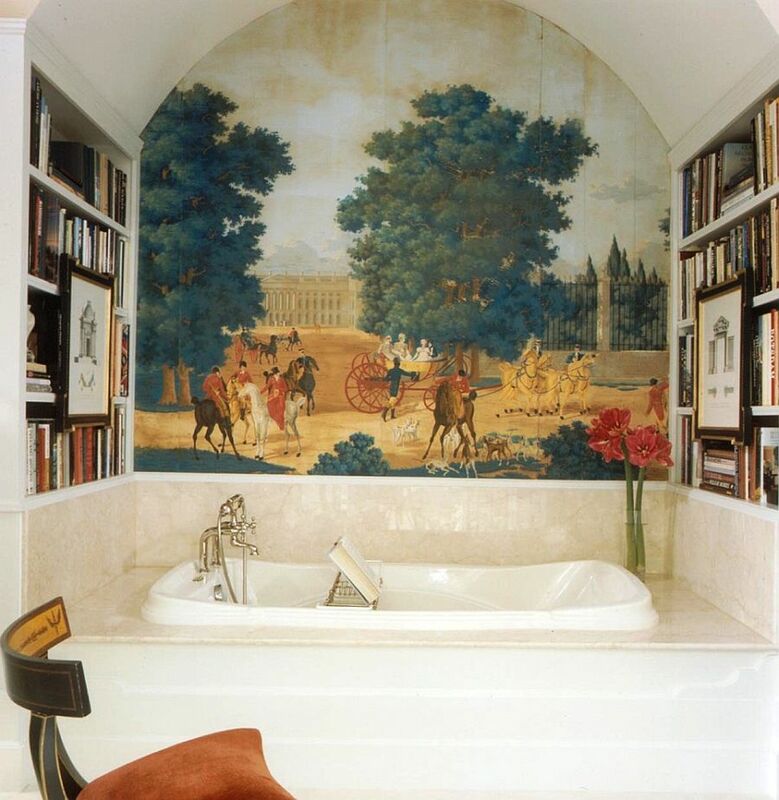 We love the design of several contemporary bathtubs that come with custom shelves for your latest magazines and favorite page thrillers. 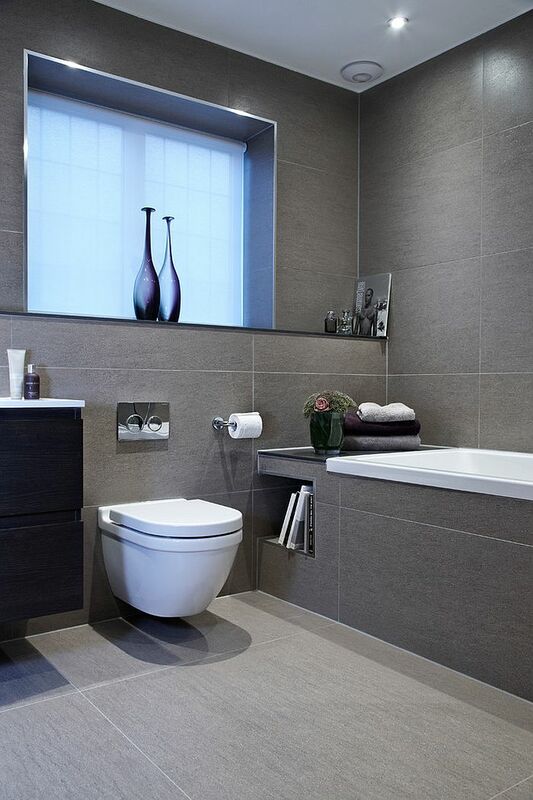 The addition of these standalone tubs does not require any major overhaul to the bathroom, and you will not have to clean up any existing shelf space for books. 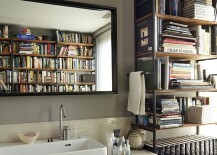 Bathroom bookshelves come in a variety of shapes and forms, and if you just want a little stand that holds your TV Guide and magazines, then opt for precisely that. 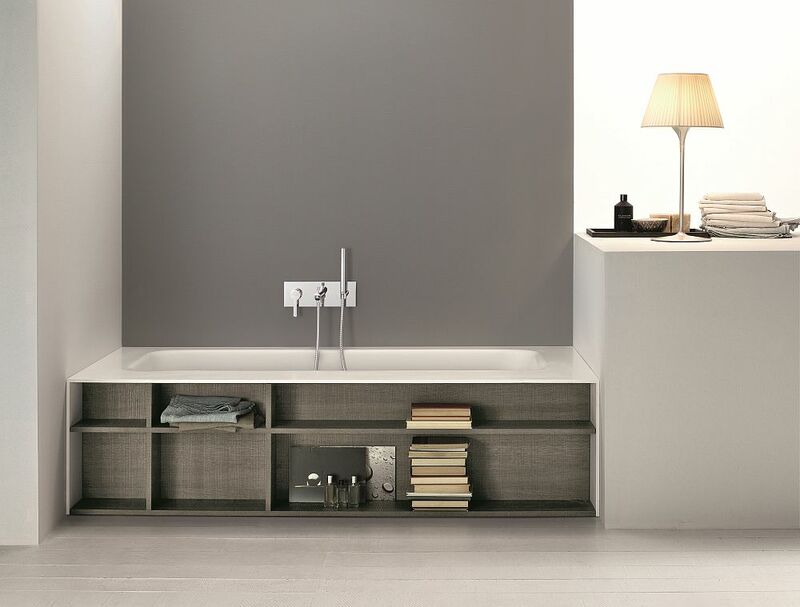 Options such as the Sapien Bookcase from DWR are ideal for those who are just testing the waters when it comes to bathrooms and bookshelves. 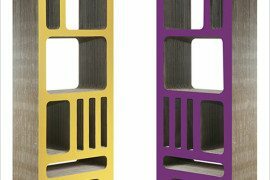 If you are not happy with the look or do not find it useful down the line, you can easily move this standalone shelf to another room with ease. Small floating shelves in the powder room are wonderful space-savers that will easily hold your bathroom reading material. 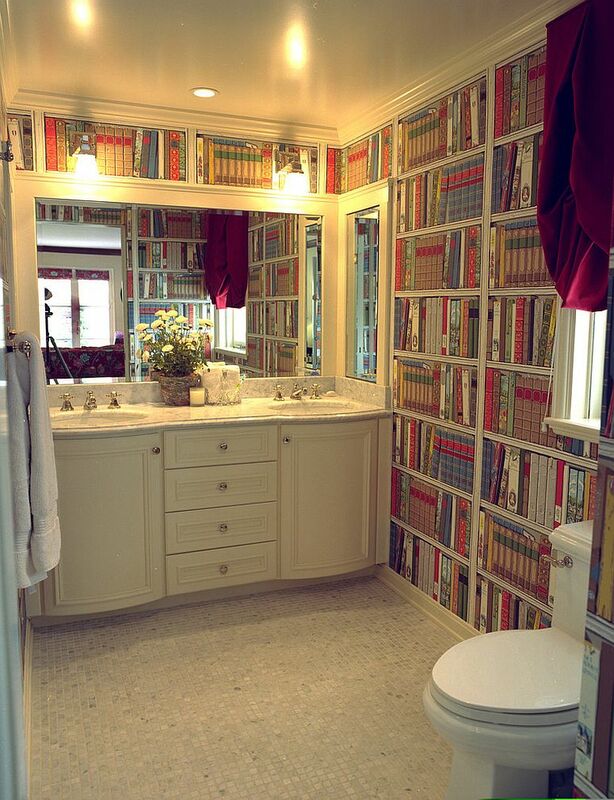 If all else fails and all you want is the aesthetic appeal of being surrounded by books in a small bathroom or powder room, wallpaper is indeed the best option. 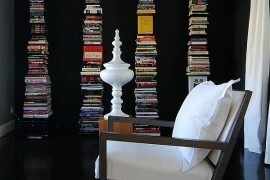 No longer do you need to worry about a book collection or expansive shelves; all you need is the morning paper! 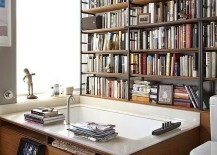 You get an instant blend of the home library and the bathroom at a fraction of the cost and effort.